KeySweeper – Wireless Keyboard Sniffer Using Arduino & FONA « Adafruit Industries – Makers, hackers, artists, designers and engineers! Samy Kamkar demonstrates a nasty little homebrew spying device called KeySweeper that can snoop on wireless keyboard traffic and send what it finds over GSM cell networks. 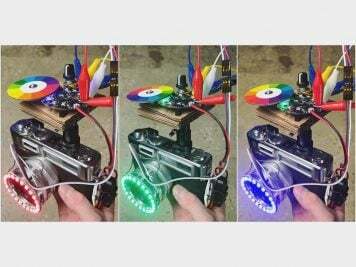 The device is built into a USB charger so it can be hidden anywhere, and is made from an Arduino, small 2.4ghz transceiver, and Adafruit FONA. Samy’s post goes into great detail about how the device is built, and how it cracks the wireless keyboard encryption. Great job!